I found some great mixed olives at our local farm shop yesterday, and had to have some for a batch of Olive Bread. 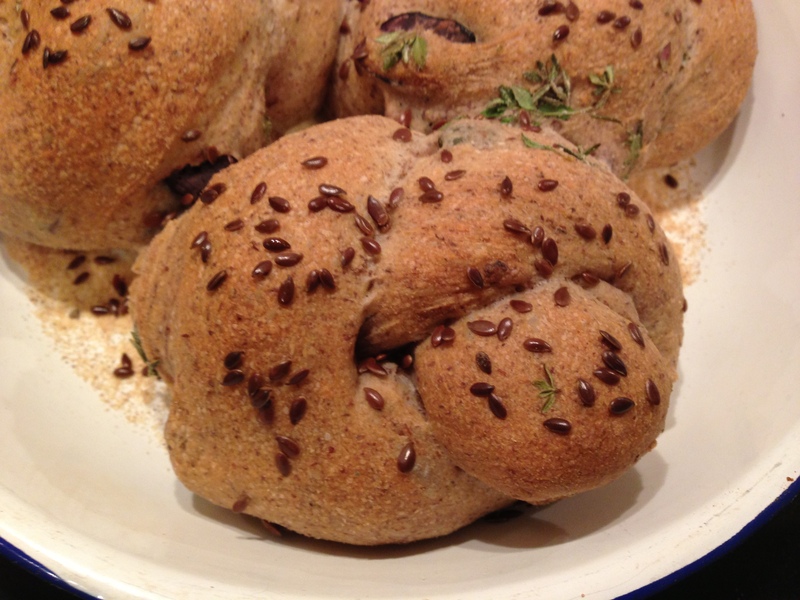 This recipe I’ve turned into rolls, and added 10% ground linseed (flax seeds) for a bit of interest and valuable nutrients. You can substitute the Linseed with any equivalent quantity of flour. Previous Post Low Fat Yorkshire Pasties – Shin of Beef Stew, with a twist! I love homemade bread! While I’ve made many batches of rolls before, I’ve never quite had the courage to try to form them into little knots like yours. Are there any tips or secrets you can share? Thanks for the tips! I probably would’ve tried to tie them tighter than my shoelaces… Although hopefully I wouldn’t try to double-knot them too!